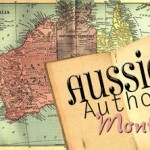 Aussie Author Month is a great idea as we have a wealth of great Aussie Authors. Now I believe reading should begin from a young age…read Mem Fox’s book on the importance of reading to your darling babies, its great. (and she’s an aussie). 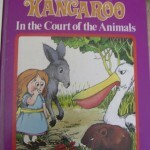 So for Aussie Month I thought i’d share with you two of the books I read as a child. 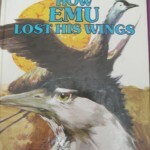 My gran gave me both these books, How Emu Lost His Wings which is from the SRA Australian Stories collection and Dot and the Kangaroo by Ethel Pedley, which shows how a court works through the use of aussie animals. I think that reading to my children every night has given them a love of books and their stories. And I believe both of them are great readers because of it. I didn’t read much as a kid as we were always outside in the bush, building cubbies and making up games. We never sat still long enough to read, I guess you could say were were off creating our own stories. So it wasn’t until later in life that the next great Aussie book I sunk my teeth into was Rachael Treasure’s Jillaroo. She was speaking my language and I was obsorbed into the world she’d created. Her typical Australian settings and characters I could relate to. Also if it wasn’t for Rachael’s book, my own writing career may never have eventuated. 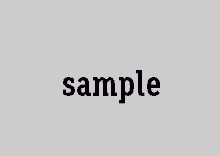 All I know is that after reading Jillaroo, I was spurred on even more to publish my manuscript and approached Penguin because of Rachael. Funny how things work out.